We are now aware of the power of government to keep things in secret and this power has come under extreme scrutiny in recent years since Edward Snowden, former NSA contractor, leaked government classified documents. It is not surprising that UFO believers also believe that the government is also hiding something about UFO phenomena. Several members of Citizens Against UFO Secrecy (CAUS) group used the Freedom of Information Act (FOIA) in the mid to late 1970s to compel U.S. government agencies, including NSA, to declassify secret files on recorded UFO sightings. Many formerly classified documents are now being declassified through FOIA requests. One request was made by researcher Michael Ravnitzky that eventually resulted to the declassification of the document stamped “Top Secret Umbra,” the code word used in most sensitive category of intelligence communications. The affidavit with a title “In Camera Affidavit of Eugene F. Yeates: Citizens Against UFO Secrecy v. National Security Agency” has been declassified. This paper was originally filed in 1980 by the NSA to justify the move to keep records on UFOs secret. However, some parts of the document still remained classified. Some sections have been blacked out. The government explained that the purpose of blacking out certain sections is to protect employee names and keep technologies, skills and foreign connections of NSA out of the public. 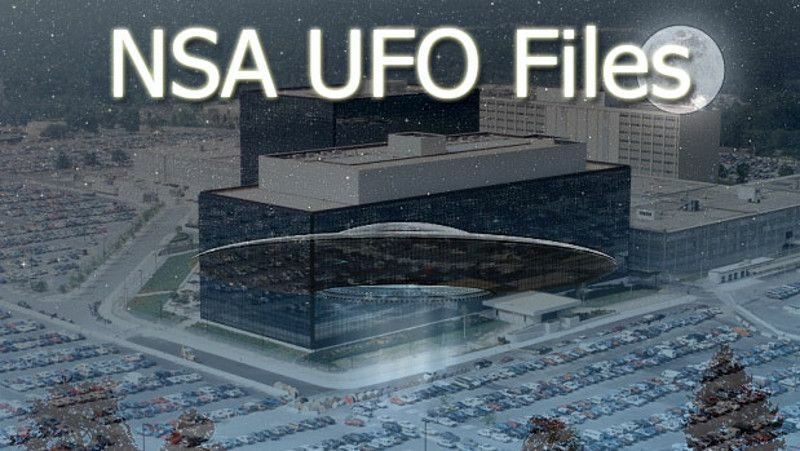 The document reveals that NSA files have 239 UFO-related documents, wherein 79 of those originated with other government agencies. Most of the reports in the paper were recorded between 1958 and 1979. One of the intriguing titles in the declassified documents is “UFO Hypothesis and Survival Questions” (read it here). The paper says that the purpose of the monograph is to determine the possible human survival scenarios in phenomena categorized as UFO. In one sentence the paper states that UFOs are all hoaxes but this is equally contradicts in the next sentence at it then goes on the say that UFO phenomena have been witnessed since ancient times from different parts of the world and several scientists with good reputation also witnessed the phenomenon in recent times, which indicates strongly that not all UFO reports are hoaxes. Another interesting and intriguing title is ”UFOs and the Intelligence Community Blind Spot to Surprise or Deceptive Data” (read it here). It is written by unnamed NSA employee who points out the serious shortcoming in the communication intelligence interception and reporting procedures (COMINT) of the agency. The writer highlights the inability of NSA to respond the right way to unexpected information or deliberately deceptive data. He reveals how NSA intercepted communications in 1971 between two airborne aircraft. Also mentioned in the affidavit are elongated balls of fire moving across the sky above countries other than the U.S. There were also intercepted reports of bright objects, lights and unknown craft in the sky over the U.S. and other countries. You can find out more NSA UFO declassified files here.